Hua Hin Divers offer the very best in scuba diving trips and training. If you are in Hua Hin Thailand and want to experience the beauty of the underwater world, then get into those dive suits and dive into the water with the Hua Hin Divers. The most trusted name to get the ultimate, unparalleled and an exquisite encounter with the oceanic world. Hop in at the address above between 8 am to 7 pm and get the most professional diving lessons from Steve, the master in scuba diving. 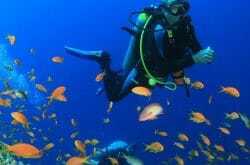 Hua Hin Divers have been providing their services in Thailand since last 15 years. They are one of the best to take the basic to pro trainings in diving. You would get a lifetime experience of diving through the islands of Koh Sing, Koh Sarang, Talu and the islands off Chumphon. They conduct classes in small batches; hence you may be assured to get private and clear attention from the instructor. You can witness the underwater wonders like Whales, different coloured fishes, turtles, sharks, rays, etc. 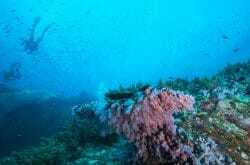 You would also get to know about the corals and other marine life creatures. May you be a beginner or a pro in scuba diving; you may get the courses that best suit you. So, if you are planning to visit Hua Hin in Thailand and want to learn to dive or are an experience diver come and experience the beautiful marine life in Thailand with Hua Hin Divers.